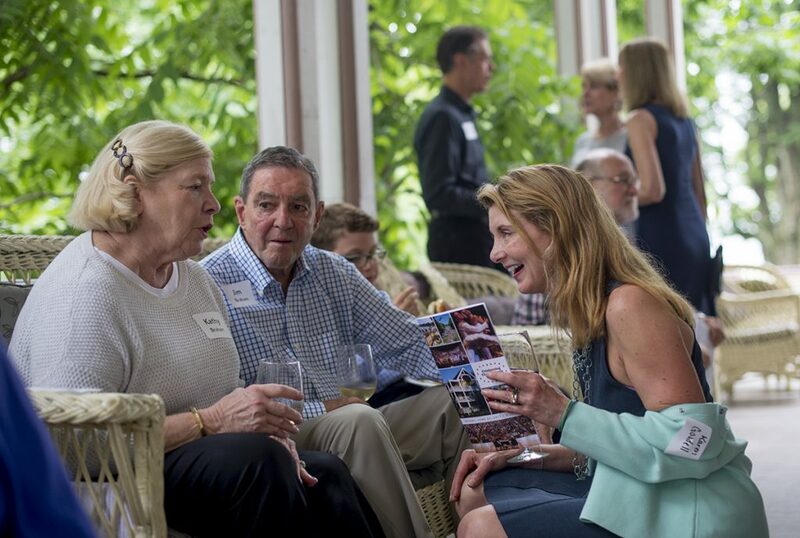 Board leadership, campaign volunteers and guests gathered last Friday to celebrate the successful conclusion of the Promise Campaign for the first time since returning to the grounds. 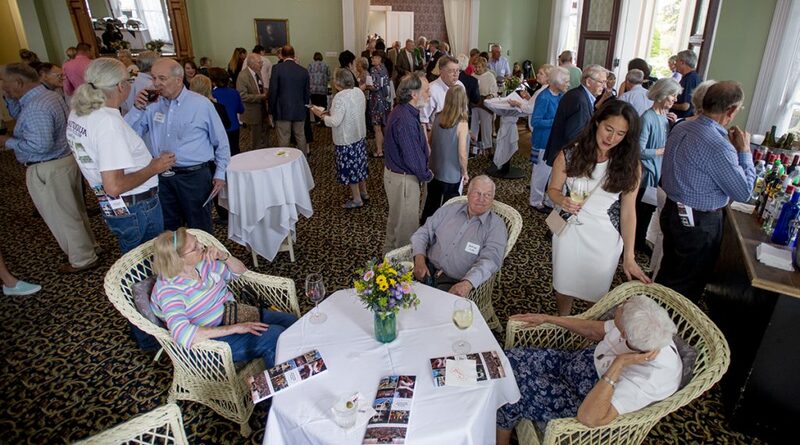 The Promise Campaign, a major fundraising effort adopted in 2011, aimed to garner significant support for a host of initiatives that will help to build a more sustainable Chautauqua Institution. The campaign, which ended Dec. 31, 2016, exceeded its $98.2 million goal by $5.3 million, totaling $103.5 million in donations from nearly 7,000 contributors. 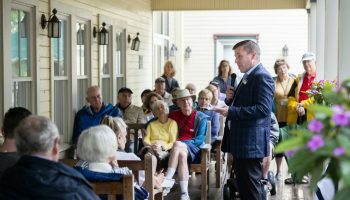 The campaign is the largest to date in Chautauqua’s 143-year history. Retired president Tom Becker returned to the grounds to honor those who provided leadership and contributed generously to the campaign. 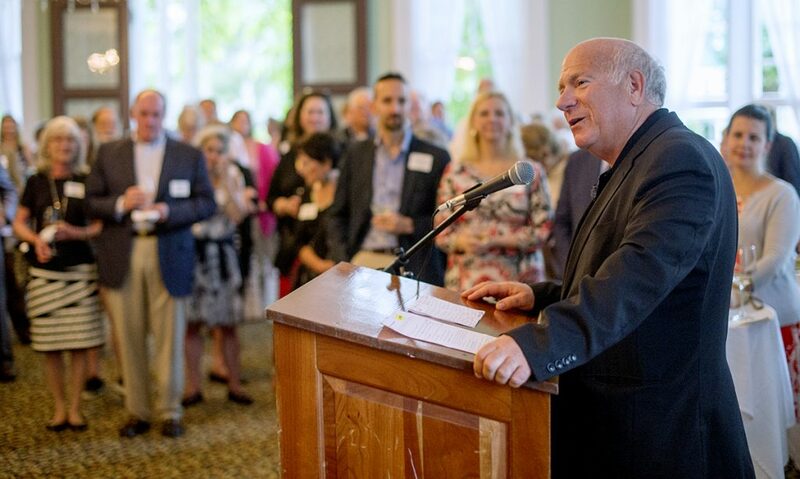 His remarks at a reception Friday in the Athenaeum Hotel Parlor referenced the brilliance of Lewis Miller and John Heyl Vincent, whose fervor for lifelong learning became a model for leading a meaningful life. He also praised the Chautauquans who stepped up and endured the challenging time between 1944 and the Second Century Campaign. Building on the past commitment of the community to advance Chautauqua’s mission, the Promise Campaign sought to launch Chautauqua into the future by widening its scope of programming and outreach to surrounding areas, and it’s already happening in real time. 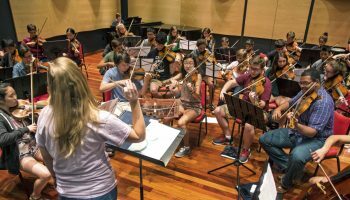 The Jamestown High School graduation took place in the new Amphitheater on June 22 and Visual Arts at Chautauqua Institution invited nearly 300 Chautauqua County students to tour the galleries during the pre-season. 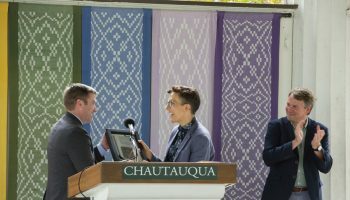 “Every campaign builds on the ones that went before it, and we could not have done what we accomplished in the Promise Campaign if it hadn’t been for the prior campaigns,” said Geof Follansbee, vice president of development and CEO of the Chautauqua Foundation. Resting comfortably as the crown jewel of the Promise Campaign is the newly minted Amphitheater, serving as a hive for Chautauquans of all ages to worship, witness speakers and enjoy performances for generations to come. While Susan Hirt Hagen wasn’t able to see the rebuilt Amphitheater, the project couldn’t have been accomplished without her generosity. Attendees received a taste of that programming when later in the evening from the Amphitheater stage, performers from the Chautauqua Theater Company presented three short plays written by Chautauqua County third- and fourth-graders from the Young Playwrights Project. Singers from the Chautauqua Opera Company closed out the evening in song. Steve Percy and George Snyder, Promise Campaign co-chairs, expressed gratitude on stage after donors, volunteers and Chautauqua leaders were invited to tour the new Amphitheater, including the stage, choir loft and Hagen Center. “I’d say we have a pretty special team of Chautauquans to make all of this happen,” Percy said. Plaques staggered throughout the Hagen Center, acknowledging key contributors to the project, are constructed from the original wood of the old Amphitheater, Snyder said. Families or individuals who contributed $1,000 or more to the project are recognized on recently installed monuments in the upper plaza area of the Amphitheater, with additional contributions to be added in subsequent years. Donors who contributed $15,000 or more will be recognized with custom bench plaques to be installed prior to the 2018 season when all of the permanent benches are in place. 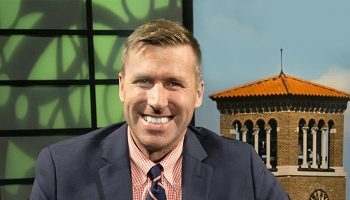 “Steve and I could not have even approached this work without (Promise Campaign volunteers’ and donors’) dedication and efforts, both in terms of fundraising and participation in the campaign,” Snyder said. 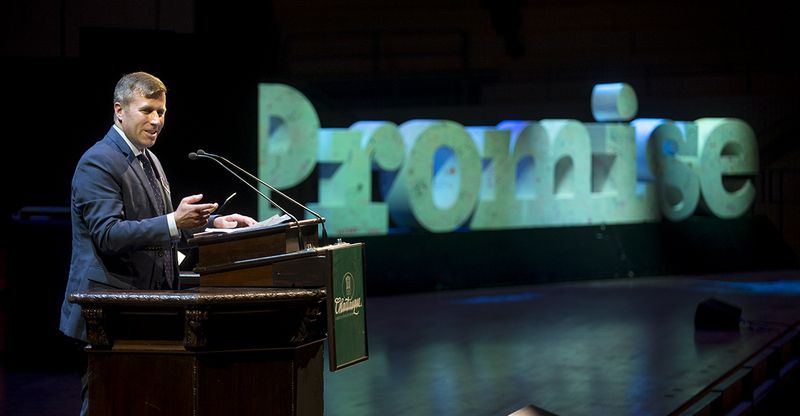 Hill, who was installed on Sunday as the 18th president of the Institution, remarked how “promise” was the appropriate word for the day. 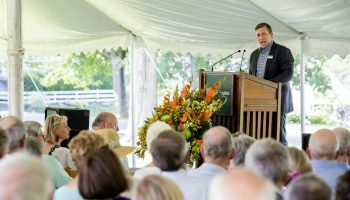 Hill thanked donors, volunteers and Chautauqua leaders for making the Amphitheater renovation a proud reality, believing the facility will encourage people to interact in a time when the country is trying to find ways to communicate with one another more earnestly. Neville Hardman is an alumna of Kent State University, where she earned a degree in multimedia news journalism. 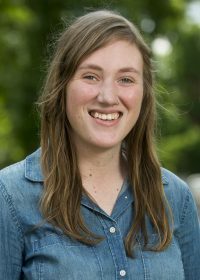 She aspires to have a career in editing, music editorial or longform writing. In the meantime, she’s probably napping like some human incarnation of Snorlax or blaring a post-punk song.